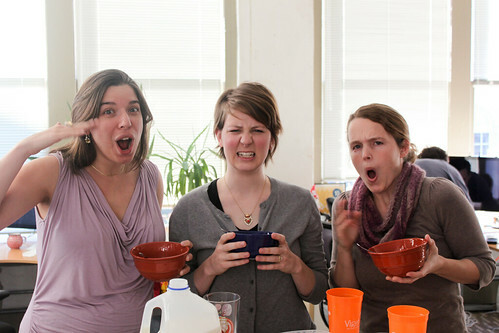 We spend all year at Viget working on digital projects, and we love what we do. We’ve spent more than a decade learning how to do it well. We’ve hired some of the best talent, specialists who have spent their professional lives perfecting their craft. The industry is always growing and changing, always introducing new challenges to work through. It’s a great gig, and I wouldn’t trade my job or this company for anything. I plan to do it for at least another decade or two. Every once in awhile, though, I have to wonder: could this group of awesome people I get to work with ever do something else? Could we turn the company on a dime and overnight become craftsmen/craftswomen of a different sort? Could we do something decidedly non-digital, something entirely outside of our area of expertise, and be proud of the results? Every year, we find out. The rules of the Viget Holiday Gift Project are simple. 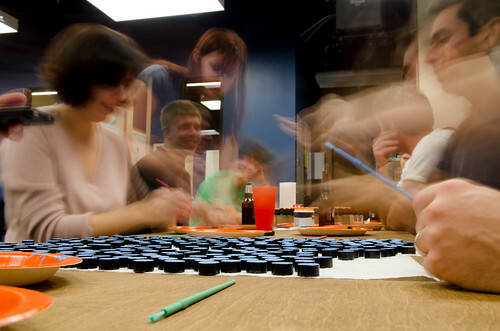 Make something physical by hand that we can send to a few hundred of our family and friends. 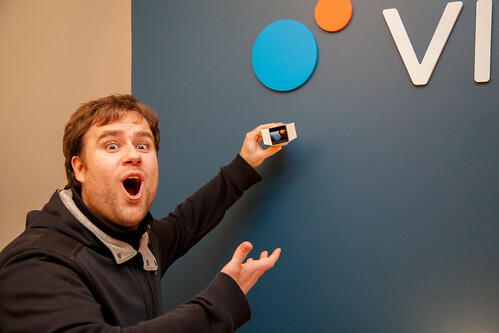 Somehow incorporate the two orange and blue circles from the Viget logo into the product itself (not just the packaging). Make sure that everyone at Viget can help with the design or production of the gift while still juggling our busy schedule of client work. Keep the per-unit cost to $3 or less, including shipping. 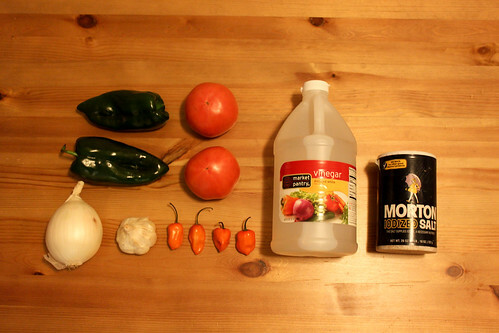 Can we make a condiment from scratch that’s actually good edible? 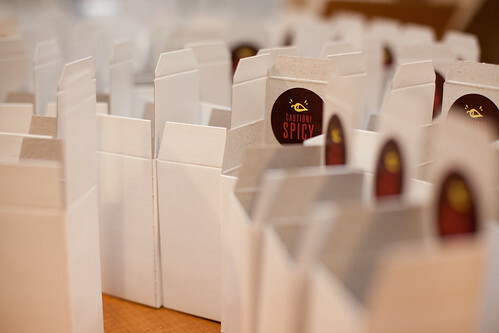 Can we design memorable packaging for a product that indeed incorporates the Viget logo? Can we figure out a complex production line with multiple assembly pieces? Can we make precise measurements to ensure the per-unit cost would be on budget? 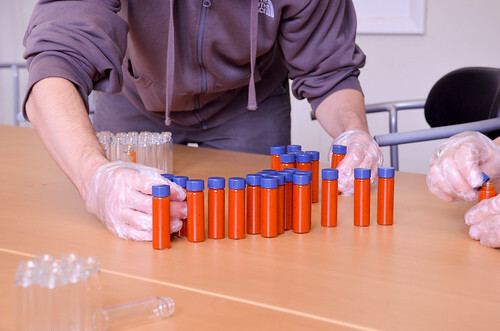 Can we implement a quality control process that works? Can we adjust mid-project when we hit roadblocks and still stay on schedule? Can we do it all with a bunch of other amateurs, coordinated across three offices, all of us figuring it out for the first time together? Can we feel the stress of it all but still enjoy it, still be proud of the results, and still love our co-workers even more after it’s all done? The answer to all of these questions is: yes, we can. Today, the first batches of Vigesauce will arrive. 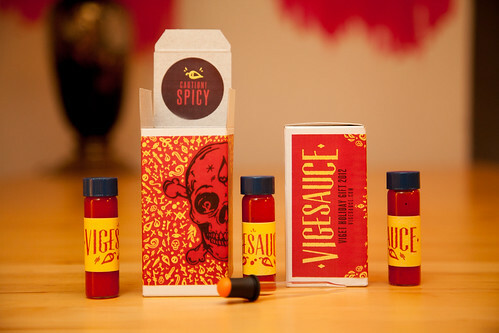 Provided the packaging doesn’t frighten too much, a few drops of Vigesauce will end up on burritos, french fries, and whatever else people choose to put it on. Once again, we (mostly) enjoyed making this year’s holiday gift. Once again, we’re reminded that we love our chosen careers so we’ll be sticking to digital projects -- for at least another year. Happy holidays from all of us at Viget!